The Hampton Inn - Portland/Clackamas hotel is located in one of Portland*s fastest growing suburbs near numerous restaurants shops and local attractions. This Clackamas Oregon Hampton Inn features 114 guest rooms an indoor spa a fitness center and meeting space that can accommodate up to 200 people. Enjoy our Manager*s Reception from 6pm to 7pm each Monday through Thursday and our deluxe breakfast buffet each morning. 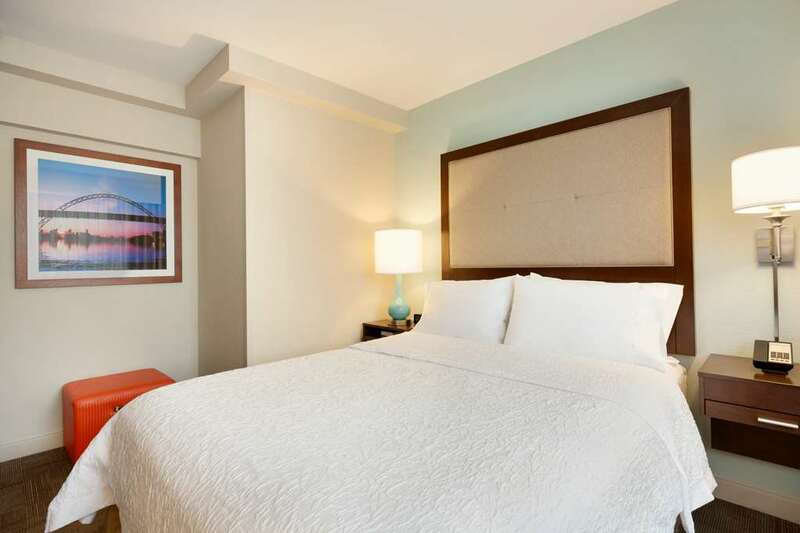 Whether traveling to Oregon on business or pleasure our Hampton Inn guests enjoy room amenities which include a coffeemaker hair dryer iron and ironing board cable television with HBO voicemail and complimentary wireless internet access. Come visit us. You*ll be satisfied we guarantee it. We love having you here in Oregon at the Hampton Inn - Portland/Clackamas hotel.